A good gaming headset is what we need to enjoy the unlimited pleasure of gaming. 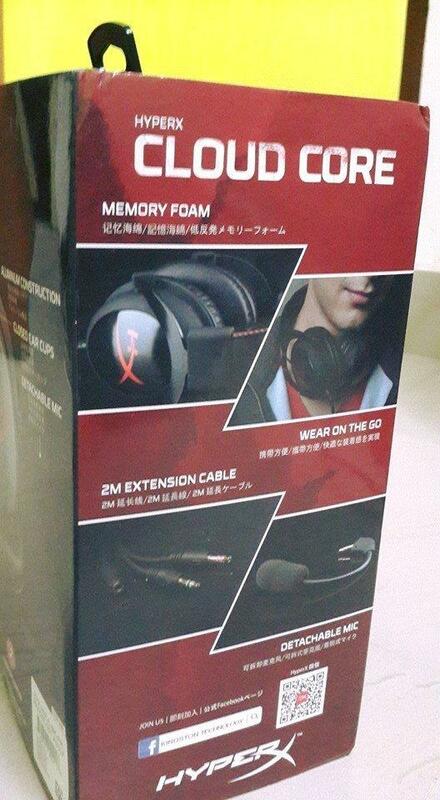 Today, we are gonna review Kingston HyperX cloud Core gaming headset. A good gaming ambiance is all we needed to completely immerse in the gaming world. This has been a dream to many gamers, and there were many gadgets which are supposed to satisfy the thirst, but only a few of them reached the expectation & they are of high-cost. Let’s see what really a gamer need! I guess these three are the basic & most needful things that a gamer expects. Though the first two entirely depends on the machine & the room, while the later depend on the sound quality. We can use a 7.1 channel DTS Sound system, but that only suits when you have owned a room and a good rig, well, how about the play-time with a gaming laptop? Though it is possible to connect the sound system, but it may not be that clear & doesn’t provide the utmost satisfaction which the gadget that I am going to review today. Want to enjoy the next-level gaming? Then we should stick to the stand-alone device that makes you live in a different world! You may ask why? Well, let me give a small example. Why most of us use iPods, mp3 players, and even smartphone headsets to listen to songs? Well, we need privacy & get into a different world of music. The same thing goes for the gaming headset too. Enjoying with sound system is just a normal way, how about completely immersive into the gaming with a similar device? This is what I am going to reveal in my today’s review. Okay! questions apart let’s ride towards the answers & dive deep into the review to find out more about this gadget. 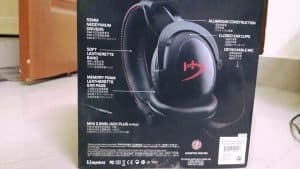 2 weeks back we received Kingston HyperX Cloud Core gaming headset for review & after testing the device, in general conditions, I am bringing the review today. Why late? Let’s get started! Just like our old reviews, let’s try to explore each individual feature one by one. The design of this headset will resemble the previous headset in HyperX division & as usual, the build quality is pretty decent. The Aluminium border over the headphones give a good grip to them, The rim is made of high-end & ultra-durable plastic which doesn’t create any irritation while we wore them. The headset covers are fluffy and it feels like you aren’t wearing them. The other best features of the covers are they are sweat proof & as far as I tested, I didn’t felt any strain while wearing it. Once you wore them, you feel like you are in a different world, 99% you can’t hear the surrounding noises or disturbances if the sound is medium, and yeah on maximum (which is not recommended) I don’t have to say how it felt. Just like the other headphones, the rim is expandable & the head covers are detachable which is very comfortable to use it for daily purpose too. You can easily connect an external mic to the headset & yeah you can disconnect it and safely place it when not in use. 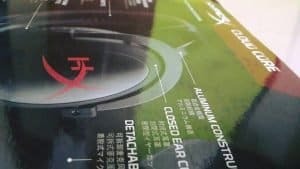 Our main concern is how well this headphones work while gaming, for that we need to check out the performance. Now you are at the best part of the review, performance! hmm Let’s see genre wise. I tried with Call of Duty series (typical wargaming style) and yeah the sound quality blew my mind. 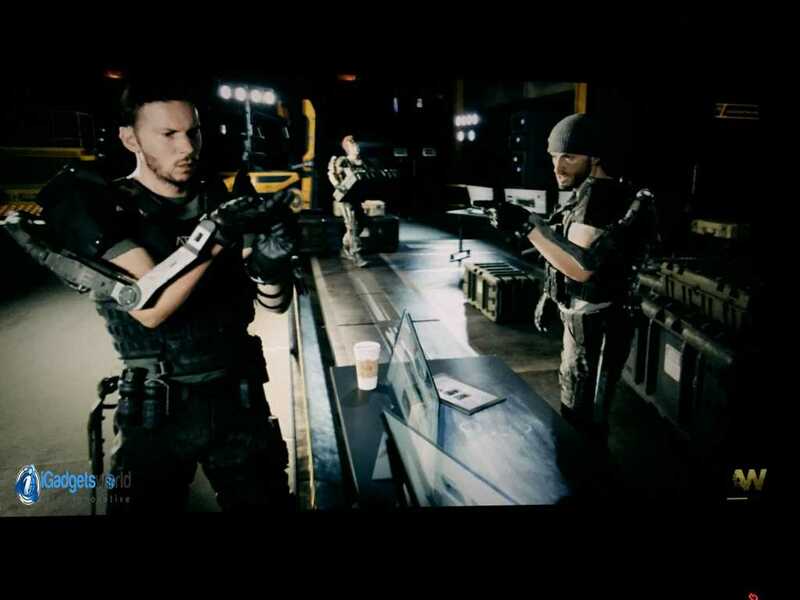 I used Asus ROG G20AJ Gaming desktop PC to play it. I manually changed the sound settings and made it be war room (you know it is a war game) and the result is an Unbelievable feel. 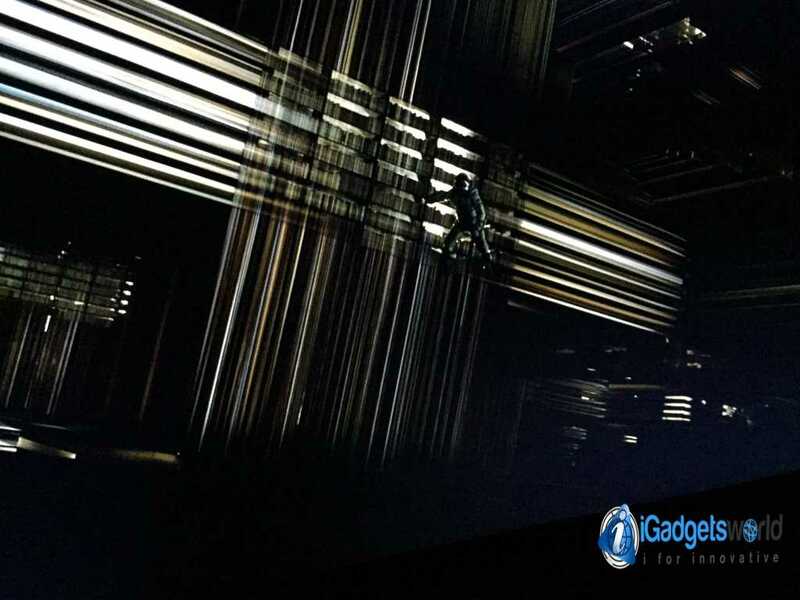 It felt like I am inside the gaming with that DTS sound quality. I played like 3 hours but haven’t got any irritation or any rash on the ears or on the head. Sweat was common as the memory foam tightly closes the ear piece. Besides the Call of Duty series, I have tried many other games, especially the online multiplayer games in steam like DOTA 2, GTA V, CS etc to test the mic. As usual, the quality of sound lived up to my expectation. By far the best headphones I used for gaming. Then next part – Let’s see the performance with the music & movies. 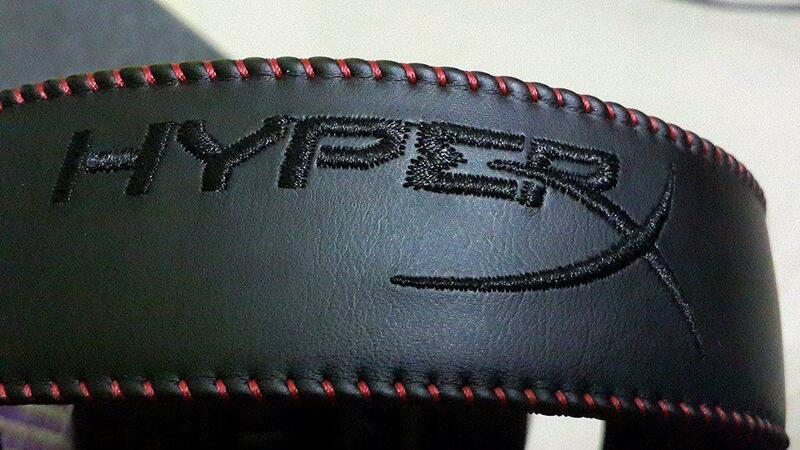 Though the HyperX is solely meant for gaming, but it won’t disappoint you for normal use. I just want to confirm whether this is true or not! so let’s head over to the next testing phase in my review. 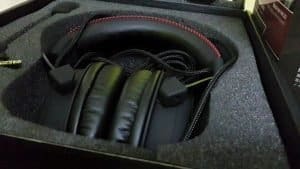 I tested the gaming headset for my daily dosage of music & movies. I used Samsung Galaxy S4 inbuilt music player with an auto setting of virtual 7.1 channel, the quality of sound is beyond what I imagined to be! During Inception soundtrack, I was like – in dreams. With that budget-end and with that ultra-comfortable ear pieces, this is the best gadget that I got last year. And movies, you can guess which movies I saw – The first one is, as usual, Mad Max: Fury Road & the second was ‘The Dark Knight’ movie. I used my personal Sony Vaio laptop to watch them. Just like the gaming & music, my experience is same. I didn’t find any noise during forwarding the scenes or playing the movie at a particular instant. So, at this budget, what is the compatibility? 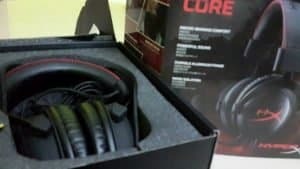 As already mentioned in the performance review, this gaming headset is solely not meant for gaming alone, you can use it for daily purpose, just like your normal beats headset or skull-candy :p As it was built specially for gamers, you can connect this headset to any gaming device. It can be a Xbox One, or a PS4 or any gaming PC or your personal smartphone, just plug in the 3.5mm jack and voila, get the unlimited stream of music to your ears. 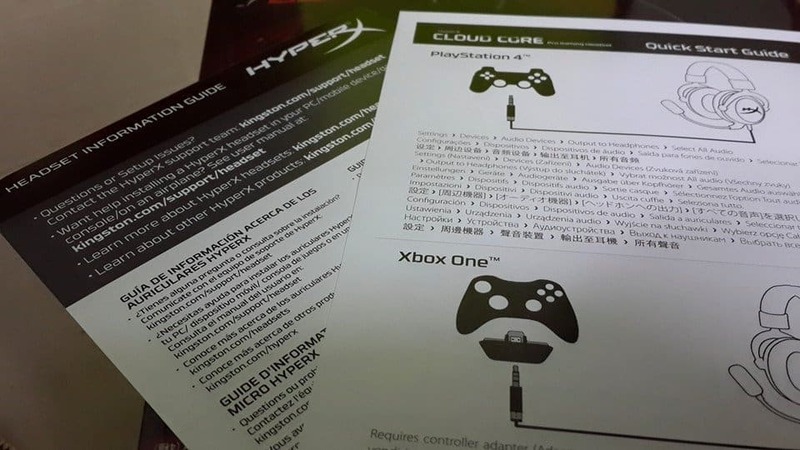 So, What’s new in this HyperX cloud core? 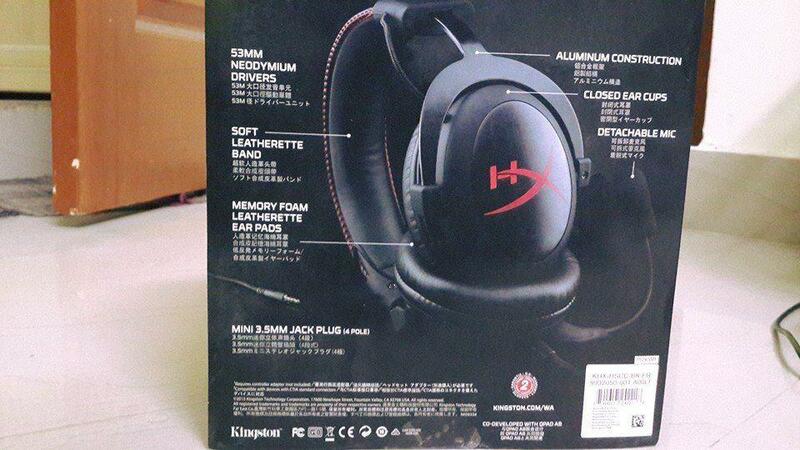 Well, do you know this is the 3rd gaming headset from Kingston in the HyperX series? the former 2 are bit costly & are not compatible with all the gaming devices. These cons are surpassed by this new gaming headset. The cost is fair and apt for the performance, & is compatible with almost all gaming gears. 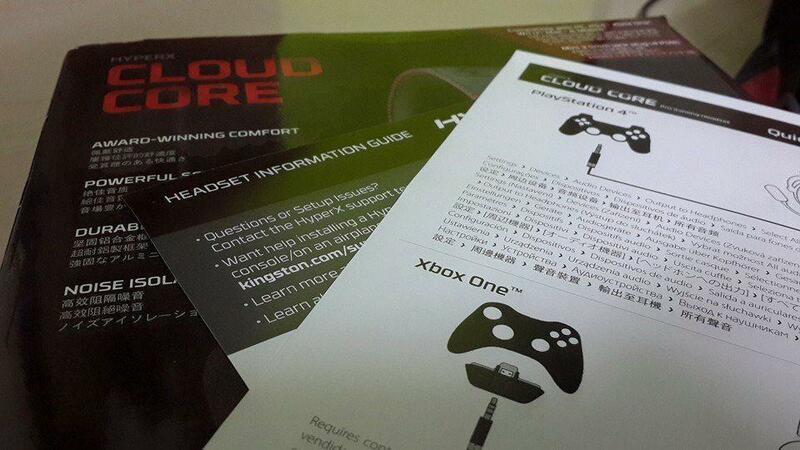 Just for the Xbox one, you need a separate jack which you have to buy separately & it won’t come inside the box. You need to adjust the ear piece alignment correctly or else you’ll feel pain. hard to carry everywhere, except when it is around your neck. You can buy this gaming headset from Flipkart at just Rs. 3,775 rs. As of now it is out-of-stock but the stock will be updated soon. I will update the offers from Amazon & other e-commerce sites soon. Running out of money & wanted a perfect piece of gaming headset with ultra-high-end quality in sound production? Then this is your best device to try it out.